The tyre's unique asymmetric design and advanced construction combine to give unprecedented levels of precision, stability and control across all levels of driving. Offering high-speed cornering stability and extremely fluid response, the Bridgestone Potenza Adrenalin RE002 is sure to provide enthusiasts with the ultimate in driving pleasure. 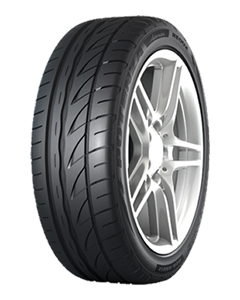 Sorry, we currently do not have any tyres with the Potenza Adrenalin RE002 pattern in stock.